For three decades, Homa Sabet Tavangar’s work has bridged topics from global competitiveness to global citizenship; economic development to story-telling; fostering empathy, collaboration, inclusion, leadership and creative problem-solving. She connects timely topics of the moment with the timeless desire to work with purpose and make a difference – whatever one’s circumstances. 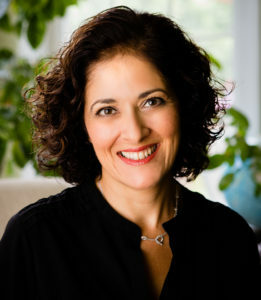 Homa is the author of widely-acclaimed Growing Up Global: Raising Children to Be At Home in the World (Random House, 2009), lead author of The Global Education Toolkit for Elementary Learners (Sage/Corwin, 2014), contributor to Mastering Global Literacy, Heidi Hayes-Jacobs, ed. (Solution Tree, Nov. 2013) and the 3-book Take-Action Guide to World-Class Learners (Corwin, 2016) series with Professor Yong Zhao on educating creative, entrepreneurial “World Class Learners.” Growing Up Global has been hailed by international education and business leaders and media ranging from Dr. Jane Goodall to the BBC, NPR, NBC, ABC, Washington Post.com, Chicago Tribune and Sun-Times, Boston Globe, PBS, Scholastic, Parents Magazine, Rodale, and many more. It has been a best-seller in Parenting, Education, and Globalization categories, introducing a wide audience to the possibilities of raising and educating global citizens. Homa’s ability to translate culture, diversity and inclusion, innovation and globalization trends, and breakthroughs in academic and social-emotional learning has sparked initiatives to help audiences from CEOs to teachers and K-12 to graduate students learn and thrive in a global context – and have fun along the way. Homa works actively with K-12 schools and universities to build global, racial and cultural competence, through holistic programs engaging teachers, leaders, parents and students, as well as by offering keynotes, workshops, coaching and professional development across the life cycle of learners. She is a founder of the Oneness Lab, which assists individuals from a range of organizations to practice authentic respect, creativity, collaboration, innovation, and authentic care for oneself and one another, to go deeper than diversity. A former Visiting Scholar at the University of Pennsylvania, she advises organizations ranging from the City of Philadelphia to Disney Channel on cultural bias, and worked with NBC’s Sprout TV on script development and cultural elements in the ambitious, young children’s animated series “Nina’s World,” based in part on Growing Up Global, and starring Rita Moreno and Mandy Patinkin. As Adviser to the National Education Association Foundation, Barefoot Books, International Schools Services, Quiet Revolution, Lincoln Financial Foundation’s civil rights education efforts, the Pulitzer Center on Crisis Reporting and KidsHealth.org, Homa has helped teachers and leaders reimagine how education is delivered and how diverse people can work together. She has written for the Huffington Post, PBS Parents, Momsrising, National Geographic, Edutopia, and ASCD’s Educational Leadership, among other media, and is a sought-after speaker and trainer. Homa spent 20 years working in global competitiveness, organizational, business and international economic development with hundreds of businesses, non-profits, and public organizations, before turning her attention to global education. She has lived on four continents, speaks three-and-a-half languages, and is a Phi Beta Kappa graduate of UCLA and Princeton University’s Woodrow Wilson School of Public and International Affairs. Passionate around issues of opportunity and equality for women and girls, she has worked on these issues for private companies and the World Bank, and served on various non-profit Boards, including, currently on the Board and Executive Committee of the Tahirih Justice Center, a national leader protecting women and girls fleeing violence. She is married and the mother of three daughters, ages 25, 23, 15. Homa Tavangar inspired our World View audience at our global education symposium at the University of North Carolina at Chapel Hill. Participants left her presentation wanting more professional development in global education for themselves and more globally centered classrooms for their students. Thanks to Homa’s content, skill building techniques and strategies, great change will happen in North Carolina classrooms. Homa’s presentation at our school was amazing. She connected with the audience and spoke about these really big issues in a way that resonated with everyone there. I know many people felt empowered and excited to do something. It was a very educational and uplifting experience and we would love to have her back.